Shop It To Me made me one of their Trendsetters! It just goes to show that you never know what publishing a post will bring you. On Tuesday, I published a post about a cool new service that I had signed up for called ‘Shop It To Me’. You can view that post here. Somehow, the people at Shop It To Me came across the post and they liked it so much that they invited me to be one of their Trendsetters. As a Shop It To Me Trendsetter I will be the first to know about exciting news, Shop It To Me updates, and blogger opportunities such as events and giveaways. I also recieved a cool badge for my blog that you can see on the top left hand side of the screen. Everyone who clicks on that badge and signs up to Shop It To Me will help me build Shop It To Me credit which will be exchanged for shopping vouchers. 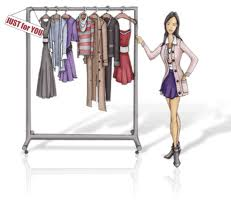 This is great for me as I love shopping but it is also great for you too as, since my readers will help me gain the vouchers, I will share them with you by hosting shopping voucher giveaways for every second shopping voucher that I recieve. So appart from the chance to win to some shopping vouchers, why else should you join Shop It To Me? So what are you waiting for? Give the badge on the top lefthand side of this page a click and find out about all the great sale items that belong in your wardrobe. Congrats Breige 🙂 You deserve it!